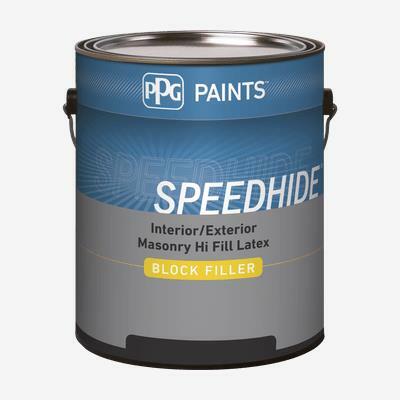 SPEEDHIDE® Interior/Exterior Masonry Latex Block Filler is our better professional block filler formulated to meet the performance requirements of professional applicators. It is designed to fill porous surfaces of cement, concrete and lightweight masonry blocks where no unusual exposure conditions of moisture, heat or humidity exist. Suitable for use beneath both interior and exterior coatings. May be topcoated with oil, alkyd or latex coatings.